Let me introduce you to Winter. She is a big quilt, about 72" square. She was made with Kona white and a winter/holiday bundle by Basic Grey from a few years ago which I love. 22 of the 36 blocks for this quilt were made by the members of Always Bee Learning for me a couple of years ago. That bee was about learning new techniques. I have long loved this traditional block - called Ocean Waves - and I tasked my bee mates to make blocks that had nice points and accurate 1/4" seams and they did. I made the rest of the blocks so that the quilt would have finished "O"s all round. I quilted this quilt with just randomly spaced wavy lines. 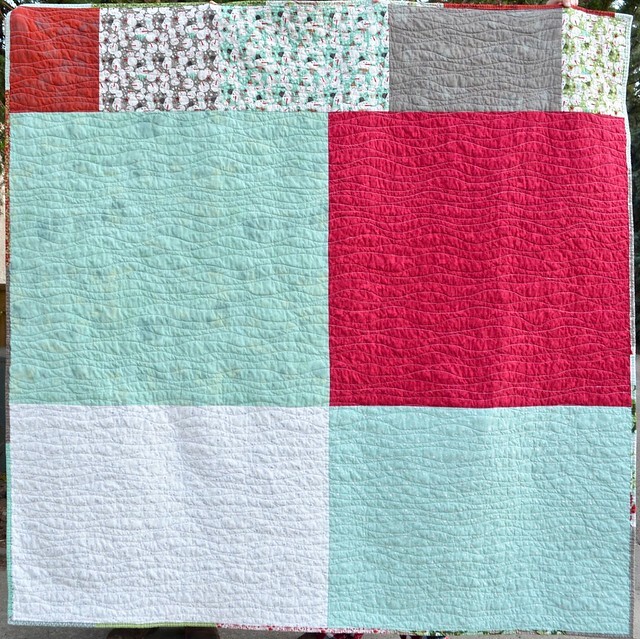 I love to do this quilting, it is fast and relaxing. 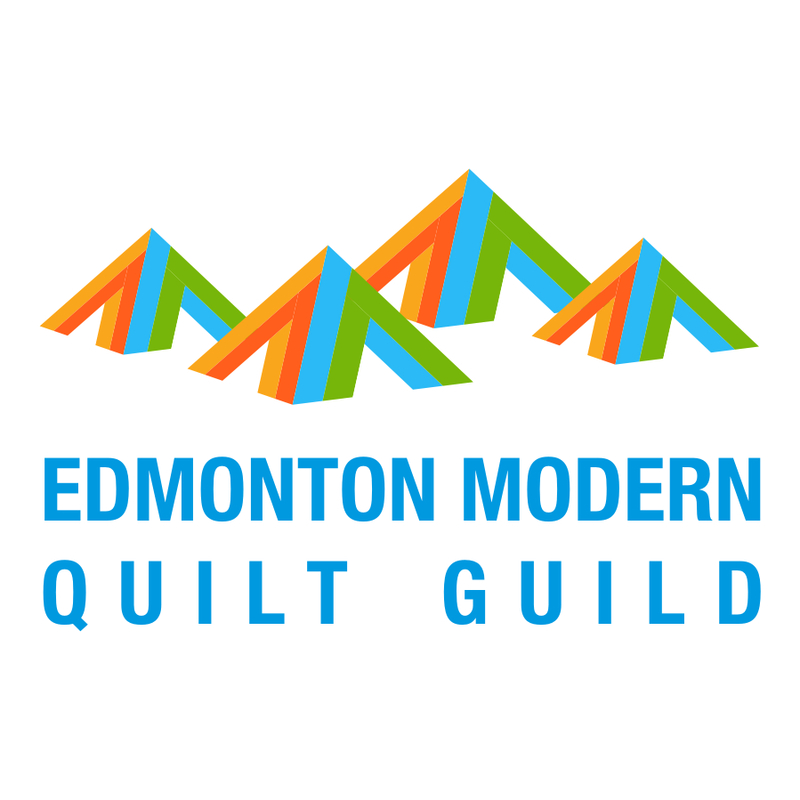 The quilt is very soft and will be wonderful to use in the deepest months of winter. I was not sure how to arrange the blocks and decided to group them by colour mostly. I think it gives some definition to the O shapes and also leaves a calm feeling when you look at it, without the quilt being particularly symmetrical or balanced. I find that I can look at it for a long time, sort of looking for the reason behind the colour placement and finding myself move from block to block as the colours sort of flow about. The back and the binding are scrappy, using left over pieces of the fabric bundle and some complementary other pieces. Here is a photo with a bit of scale. My tallest family members were required to hold up this quilt. I am looking forward to putting this quilt out for winter naps and movie watching this fall. 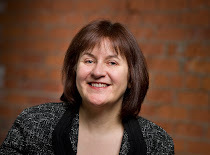 Welcome if you are new here from Amy's Blogger's Quilt Festival. 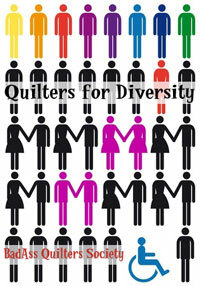 Feel free to look around my blog and you can see more of my quilts under the My Quilts tab above. Winter is my entry into the large quilts category of the festival, I hope you like her. 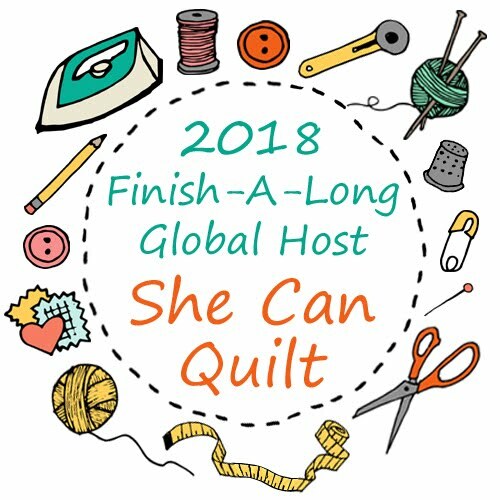 Make sure you click through to Amy's blog, she does such a great job with the Blogger's Quilt Festival each year - there are several categories to visit. And you can enter too, everyone is welcome. I'm heading home from Quilt Market tonight, it has been great fun! Looks great Leanne. Good luck. Like you I have loved Ocean Waves since I started quilting...this is such a pretty one! 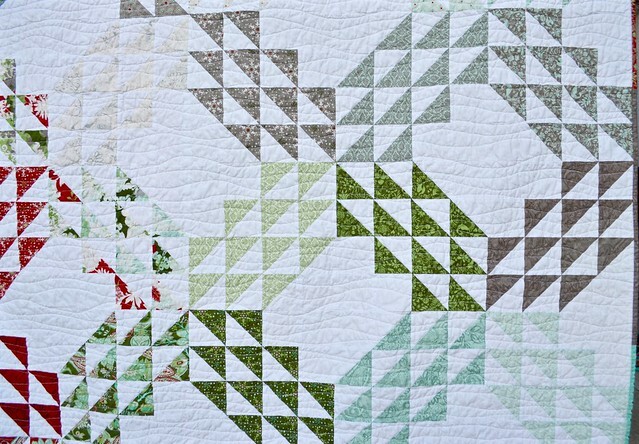 I think your block arrangement is wonderful, and the quilting is a perfect motif for the pattern!!! Ah Leanne this is stunning, I love it, the colours are really calm and subtle and the quilting is lovely - great job. Delightful fabric combinations and positioning. Ocean Waves is one of my favorites, too. 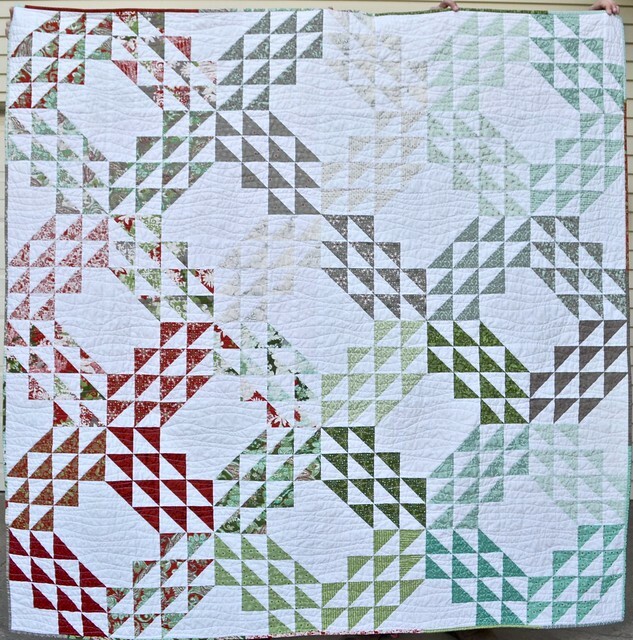 such a lovely quilt, that is a great block and that's a lot of accurate points and piecing! I recognized this right away! So very pretty Leanne. 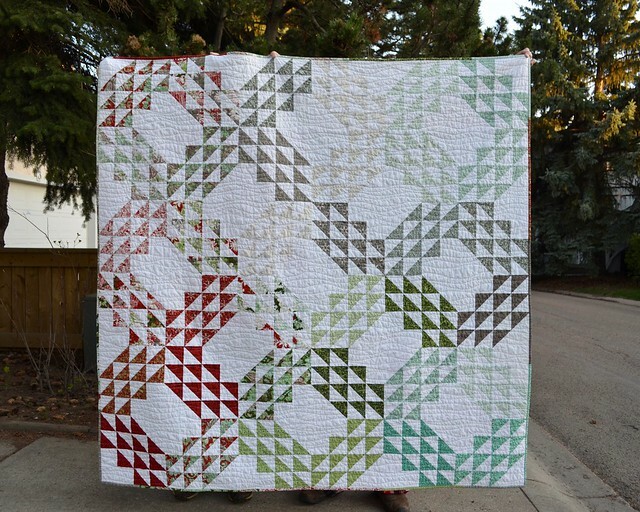 Such a lovely quilt, the colours are so calm but the placement gives it interest. Does this count as a finish along finish too? :) Very calming, everyone should have a Christmas quilt! Beautiful quilt. 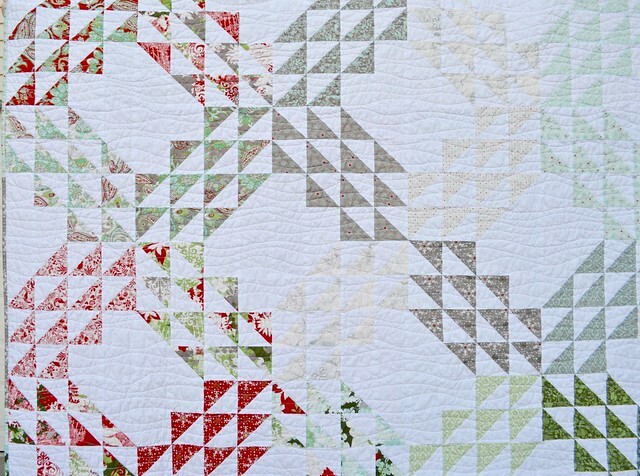 I love the flow of the colors made even better by the perfect quilting! Very lovely and soft coloring. Love the movement you achieved with the color placement. I like the use of the "fadeout." It's very effective. Lovely and restful. Contemporary traditional too. This is beautiful Leanne! I did not realize that your bee mates contributed to this quilt. Ocean Waves is on my list of quilts to make. Absolutely love yours! Thanks for sharing. Beautiful quilt! I love the "low volume" look of this, but still keeping it beautiful and interesting.